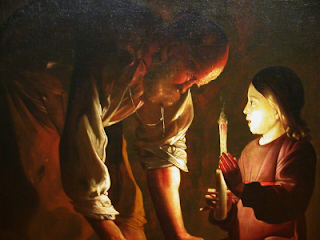 The interest in memory studies among Gospel scholars is still in its infancy. I continue to see the common mistake of folks using memory as a synonym for "tradition" and/or assuming that "eye-witnesses" provide a firm foundation for discussions of accuracy. We still lack clear descriptions of the relationships between communicative, cultural, collective, and autobiographical memory. Finally, we betray our novice understanding of memory studies by assuming that modern vehicles for memory (what we call mnemotechniques) are analogous to ancient vehicles for memory. This lecture (about 20 minutes) is a great introduction to the differences between ancient and modern remembering. Lucky for us, the human mind is still capable of duplicating what the ancients employed with regularity. If you are even marginally interested in memory studies, watch this. Do yourself a favor and don't turn it off after the first 45 seconds. It gets better. This is a new online journal dedicated to the discussion of the proposition that credally orthodox Christianity is the most transformative of all cultural phenomena and that it remains the ineliminable core of the Middle-Eastern and European-originated civilisational project. It freely invites contributions both from those who agree with this proposition – in whatever sense – and those who reject it. The journal intends uniquely to combine the academic and the current; the intellectual and the popular. To this end it intends to publish both pieces longer and shorter than those carried by the typical academic journal, as well as some of the usual length: taking full advantage of the flexibility offered by the online format. ‘Theology’ is taken to include theologies of all kinds, besides a predominant concern with the implications of orthodox Christian theology in particular. ‘Philosophy’ is intended in the most ample possible sense, to include all the various schools, Eastern and Western, Ancient, Medieval and Modern, Continental and Analytic. It is also taken to extend to all branches of aesthetics, including literary, art and music criticism, besides the philosophy of science. ‘Politics’ is taken to include both political theory in the past and the present, and political practice, especially in the present. More widely, it is intended to indicate the entire practical branch of philosophy, and so to cover also ethical, social, economic and cultural theory. The journal will normally be published four times a year and each of the four issues will have a distinctive purpose; There will be: 1. A General issue which will publish a diverse range of submitted articles; 2. A Special issue which will be devoted to a specific topic and will include both commissioned pieces and uncommissioned ones subject to peer review; 3. A Reviews issue which will seek to discuss some of the most important books published within a 12 month period in both short notices and review-articles; 4. A Current Affairs issue which will seek to mediate between academic and media analysis of contemporary events and cultural conditions. In this issue especially, but also in all the issues, we hope to include articles by both academics (established and emerging) and those engaged in other modes of writing and activity. All articles will be peer-reviewed, because a further aim of the journal is to combine relevance with rigour, as well as rigour with relevance. Goodacre on the Mary and Jesus marriage hypothesis. My first three posts on this topic can be found here, here, and here. In this method, the Fourth Gospel was bracketed out, redactional material was bracketed out, the infancy narratives were bracketed out, etc. One of the chief virtues of Dale Allison's program is the recognition that hagiography can be a vehicle for historical data. I say something similar about Matthew's redaction in this book. Allison cites this work a number of times, but not on this particular point. We're just pumping out one fraud after the next these days. I really feel for Larry who has been dragged into this bizarre drama. ...my thanks to the incomparable Michael Thomson for this. Observation: the portrayal of Jesus in the Book of Revelation is one of our earliest. Question: why is there so little use of this portrayal in historical Jesus study? 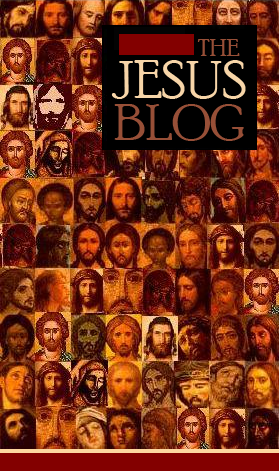 To celebrate the Jesus Blog’s 100,000th page view, I thought I’d reflect on my five-month career as a blogger. 10) Blogging about Jesus is what Jesus would do (well, at least the Johannine Jesus). 9) Auto-correct wants to render the name “Crossley” cross-eyed. 8) The page view to comment ratio is absurd. The average post here gets over 4000 views and about three comments. It’s sort of like visiting a monastery wherein all of the monks have taken a vow of silence… but they keep looking at you with their unreadable, monkish eyeballs. 7) You get more flies with honey than with vinegar… and even more with a dead carcass. 6) “Blogging” still isn’t recognized as a legit scrabble play. 5) Some are trolls because they were born that way; others were made that way by men; and others have renounced common courtesy because of the kingdom of heaven. 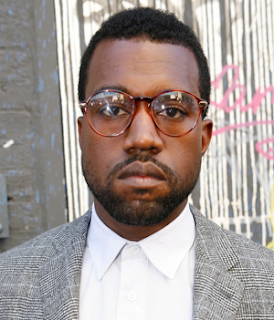 4) Chris Keith’s first name is “Chris” and not “Keith” – I was almost sure it was Keith… wait, is it? 3) Ten years ago, N.T. Wrong tore Mark Goodacre limb from limb and scattered his remains throughout cyberspace. These tiny bits of Mark exist in the hearts of all biblio-bloggers. Those who disavow Q and love Doctor Who are the special few who can find mysterious union with each other beyond the evil dominion of the demiurge. 2) Being holier-than-thou gets a bad rap; it’s so much better than the alternative. 1) What Jim West does really isn’t as difficult as he makes it look. Would you be willing to share some of those distinctions in a separate post? Christian, here are a couple examples. One distinction that I found helpful was the dissonance between the Bavli rabbis and the Yerushalmi rabbis on the impetus for marriage. In other words, why marry? It seems that the earlier Judean voices promote marriage because it helps to establish men as civic entities. Familial, financial, and social well-being flows from the institution of marriage. The later Babylonian voices are not as certain that marriage is entirely positive. Perhaps it might take an otherwise pious man away from religious study. However, most of these rabbis argue that marriage provides an outlet for a man's sexual appetites. This second position is somewhat similar to Paul's stance. Satlow notes that there is no attempt by the rabbis to convince women to marry; it is just assumed that they don't need convincing. This is one of those times when the historian is negligent if s/he doesn't offer an argument from silence: the social pressures on fathers to find a match for their daughters were enormous. Moreover - and this is my observation, not Satlow's - a single woman was seen as a problem to be solved, not a person to be celebrated. Here you see a few ideals for marriage. Yet other texts demonstrate that these ideals were often difficult to live up to. The Bavli rabbis strongly urge a range of 14-20 as the window for righteous marriage, but ideals and reality are two different things. Last Monday night I attended the inaugural lecture of Prof Trevor Walker, my colleague here at St Mary’s University College. Prof Walker is a drama professor and his lecture was, by far, the best public lecture I’ve ever attended. It involved skits, (fake) gunshots, and an impersonator lecturing for Prof Walker. His topic was verbatim theatre, which he has pioneered, its relationship to reality, and the manners in which the public at large perceives these things. Verbatim theatre is where the actors dramatize transcripts of actual events; in other words, they act out scenes from the transcripts using the words from the transcripts. So, for example, one of Prof Walker’s most famous plays is “Cancer Tales,” a dramatization of real interviews with cancer victims, survivors, and their families. What grabbed my attention was Prof Walker’s questions concerning whether the dramatization of these events, and thus the re-narrativization of the transcripts, obscures the “reality” of them or clarifies that “reality.” In short, does putting these peoples’ words on stage make them any less real? Indeed, does it, to the contrary, make them more real? At one point, I was wondering also—Is it more real than, say, a documentary, a genre that tends to bill itself as the closest to reality? Alternatively, is it actually a form of documentary? 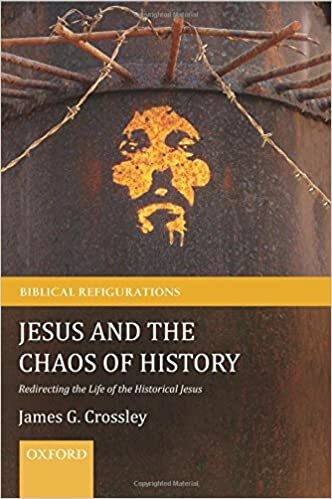 These questions relate to the topic of this blog because of the discussion concerning the application of social memory theory to Jesus studies centers on this matter of historiography—the relationship between the “real” past and portrayals of it. Memory distorts, of course, but some people think that’s a good thing and some people think it’s a bad thing. Does distortion make it less historical? To the contrary, does the distortion of memory actually render it historical? The first question assumes a disjunction between memory and history; the second question assumes that memory and history are essentially the same thing. I think Anthony and I would both land here with the second question, as would many others. There’s another interesting issue that Prof Walker’s lecture raised for me, though. Jan and Aleida Assmann have much discussed the transition of memory from the collective memory of eyewitnesses and the immediately subsequent generation to the cultural memory wherein memory becomes firmly rooted in cultural consciousness. The transition essentially entails memory’s ultimate transcendence of autobiographical memory. In personal correspondence with Alan Kirk, I have mentioned that I’m skeptical that it takes as long for commemorations to enter into cultural memory as the Assmans think it does. (They put it at around 40 years.) Alan said he too was skeptical. I wondered if part of the issue in debates over verbatim theatre hinges precisely on this issue. The re-narrativization of these transcripts in a genre of art that is publicly shared launches what are essentially private memories about their ordeal with cancer into the cultural sphere. Does it seem more real if the reader or audience believes it to be transcript versus being a play? Prof Walker mentioned how one playwright had thrown a monkey wrench into the system by writing a fictional verbatim theatre play. Some of the members of the audience were really upset when they found out they were watching true fiction. Again here, the issue is audience expectation. Congratulations to Prof Walker on an excellent and thought-provoking inaugural lecture. Chris Skinner reflects on what Brown has to say about the use of authenticity criteria in Jesus research. It only took me a decade to get to it, but I'm reading Michael L. Satlow's Jewish Marriage in Antiquity. I'm realizing how very little I know of the differences between the Yerushalmi and the Bavli voices. Also, when you get to overhear conversations about something as fundamental to social identity as marriage, you hear parenthetical comments that betray the differences between between ideals and normalcy. I.e. the rabbis give you both "what life should be like" and "what life is like". You don't get nearly as much of these insights from the Dead Sea Scrolls or apocalyptic literature. Satlow's book draws out these distinctions brilliantly. In my first two posts in this series (found here and here) I problematized a few common caricatures of Second Temple Judaism. In other words, there was a wide spectrum of Jewish beliefs and lifestyles. Of course, the folks at Qumran would have questioned the Jewishness of reversing one’s circumcision to compete in athletic events—please don’t ask me how they accomplished this—yikes! One’s view of “insiders” and “outsiders” is relative. Moreover, the closer one stands to the borders between the insiders and the outsiders, the more heated the debate will be. I hope you’ll forgive a little René Girard here: it’s when you can’t tell if someone is part of the clan that they become the most dangerous. In Zimbabwe, you’re fine if you’re black and you’re fine if you’re white (just don’t vote against Mugabe). But if you’re “colored”—what Zimbabweans call mixed-race folk—you’re in trouble. Of course, African Americans are acceptable to Zimbabweans because they are decidedly outsiders to the culture; thus hospitality is possible. In short, as long as the society knows that you have a home somewhere else, that society will be quite happy to have you visit. You have to belong somewhere. Over at Crux Sola, Nijay reviews Helen Bond's Jesus: A Guide for the Perplexed. Oh, How I Appreciate the Tireless Efforts of James McGrath! - Le Donne. For the record, I am a card-carrying Christian (it was a promotion put on by my credit union), I do think that some of the traditional criteria can still be useful, and I am flattered to be mistaken as Jewish. Really, made my day. Martin Luther is one of those really puzzling historical figures. It is quite difficult to obscure his sins (like, say, MLKJ) and it is really difficult to obscure his positive contributions (like, say, George W. Bush). I've spent most of my adult life reviling Luther for his Antisemitism, which played no small part in the Holocaust. I think that his misguided reading of Paul will continue to plague Christianity for centuries. And, you might have heard, he hammered a wedge into a crack that caused the second greatest Church split in history. And yet, I am constantly learning more and more about Luther that deserves gratitude. Indeed, every pastor who loves his wife should thank God for Luther's insistence that clergy have the right to marry. One could argue that modern book culture was a product of sola scriptura. Is it almost impossible to measure the inspiration that Luther had on Martin Luther King Sr.; would there have been a Martin Luther King Jr. without this inspiration? 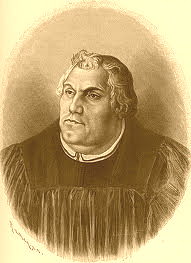 And there was this thing about Church corruption that Luther had an issue with... but, most importantly, he almost single-handedly made it cool to be fat. So this is an open-ended question: is the world better or worse for the life and works of Martin Luther? Over at Peje Iesous, Chris Skinner writes about John P. Meier's recent interest in Thomas' relationship to the Synoptic Gospels. Maybe it's the technology or maybe it's the walls themselves (probably both) but I was giddy when I found this. Try going full screen and zooming in for a little slice of nerd nirvana. 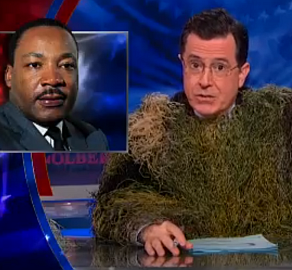 "Dr. King would be pro-gun just as surely as Jesus would be pro-nail." Sweet fancy Moses, this is a good book! Let's be honest for a moment - just between you and me - shall we? It's impossible to keep up with everything that's going on in New Testament studies. It took me three years to become conversant with the world of Acts scholarship. And I would consider those folks close neighbors to my field. So when one steps away from the Gospel of Thomas for a decade and then peeks over the fence, the entire landscape looks different. My goodness, you folks have been busy! So about a month ago I popped into the Flora Lamson Hewitt Library in Berkeley to check out five or six titles by April DeConick and Petr Pokorný when I stumbled upon this little number by Chris Skinner. I had seen it online, but I hadn't picked it up. I am so grateful that I did! (By the way, this is what the world will miss when our brick and mortar libraries decrease.) It is a perfect addition to the WATSA series. Skinner introduces the field in a concise way with emphasis on the latest developments. Is there merit to DeConick's "rolling corpus" theory? 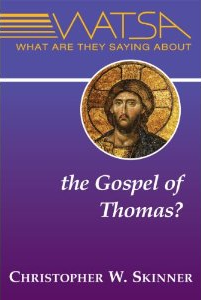 Is Thomas a Gnostic text? And what do we mean by that? Perhaps we ought to consider Thomas as an ascetic, middle-Platonic, Syrian mystic, or wisdom text... and how do these relate to the Gnostic tendencies of the book's development? Any simplistic labeling of Thomas as "Gnostic" without qualification will bring shame upon one's household, it seems. Really, chapter four is worth far more than the pocket change it will take to buy this book. Skinner speaks to the relationship between the biblical Gospels and Thomas. He concludes with a chapter that relates Thomas scholarship to historical Jesus studies. The entire book can be read in one sitting (I recommend a heavy dose of De La Soul while you read it) and will bring you up to speed on a quickly developing conversation. Mark Goodacre was recently interviewed by the 700 Club Interactive (I had no idea that there was such a thing - I figured that all of the viewers of Pat Robertson and co. were 90 years old) about the recent conversations concerning Jesus and Mary Magdalene. If you can stomach the packaging, Goodacre always has something interesting to say and doesn't disappoint here. Can anyone tell me about this painting? 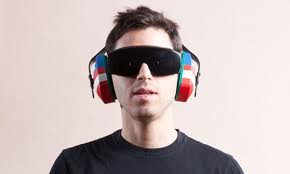 I've used tin eye (at the suggestion of Joel Watts) to no avail. Any ideas on how to find out the artist, time period, museum, etc? Would the person/people who searched for "my lovely le donne shoes quotes" please explain themselves? ps. If there are lovely shoes to be had that feature quotations from my work, I would like a pair please. A little help here...If one was going to submit an abstract to the SBL Historical Jesus session this year, what theme or topic do you think would be most useful? The SBL website notes, "we invite proposals on any aspect," which is somewhat frustrating. It seems that the person asking had already received two answers (before I chimed in) to this effect: "propose something interesting." This may seem like an evasive answer but it really is the best sort of answer. In other words, starting with a topic or a theme might not be the best way to start. Perhaps it's better to start with something that interests you and write the paper. If, after writing it, you think it would be well-suited for a particular SBL unit, submit a proposal to that unit. I think that choosing a unit first might be backwards. Dr. Small, would you please comment below with your preferred mailing address? This information will not be published. Our continued thanks to T&T Clark / Bloomsbury for sponsoring this giveaway. My thanks to Danny Yencich for this kind review my Historical Jesus. No joke: the last review of this book compared my research interests to the Spanish inquisition. At some point, I'll dig up that review for your entertainment. My thanks to Brian LePort for this. Here are a few paragraphs from Keith's Jesus' Literacy that I found particularly helpful recently. I hope that this helps to bring applications of Social Memory theory in Gospels research up to speed. I have seen a few publications of late that misunderstand or misrepresent the complexity of the discussion. Friend of the Jesus Blog Larry has several times mentioned surprise that my monograph, Jesus’ Literacy: Scribal Culture and the Teacher from Galilee, is $100 in hardback. I can beat it, though. My Brill monograph The Pericope Adulterae, the Gospel of John, and the Literacy of Jesus is usually listed at around $160. We realized that some readers might not understand why some academic books are so expensive. An insider once told me that the cost difference (for a publisher) between issuing a book in hardback and paperback is negligible. The high price is mainly due to the fact that research libraries have standing orders for particular monograph series, such as the ones I’ve published in (Library of New Testament Studies at T&T Clark and Studies in New Testament Tools, Studies, and Documents at Brill). In other words, a research library will agree with the press to buy every new volume in that series. Since library purchases of a particular series are guaranteed, the press can then charge a high price for the book. This is also necessary for another reason—typically very few other people are going to buy the book. Studies published in monograph series are so specialized and focused that their readership is necessarily limited to scholars in the field. Publishers have to jack the price up to meet their profit margins with such a low readership. 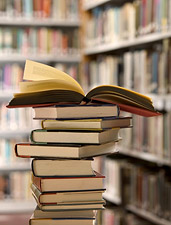 The upside for authors is that they have published their research at the highest level and are guaranteed that their book is in important research libraries. The downside for authors is that they cannot afford copies of their own books and usually they don’t sell all that well. Within the guild, though, publishing in a monograph series is an honor. This is typically the case with monograph series publications. Sometimes someone writes a really technical study, publishes it in a monograph series, and nevertheless also manages to attract the attention of a general readership. If the press determines that a book has the potential to sell beyond the narrow readership of a monograph series, they will issue it in paperback. The prices are cheaper because their target demographic has shifted from research libraries with stable budgets to general readers spending their spare cash. So do scholars make money off these high prices? No. In fact, usually the lower the price of your book, the better chance you have of making money. Authors of hardback monographs usually receive very low royalties, if any at all. Once a monograph makes it to paperback, there’s the chance of making some money; probably not enough to justify the time and effort you put into it, but enough to have a couple extra pizza nights. Of course, once you’re an established scholar whose name alone will guarantee sales, you can choose whether to publish in a monograph series or a press with wider distribution like Baker Academic, T&T Clark, or Eerdmans. There’s the chance to earn decent enough royalties with those types of publications. The place where academics really make money off publishing is in textbooks and trade publications. I once heard that a scholar who wrote a popular introductory textbook on Paul bought a lake house with the royalties and refers to it as “the house that Paul built.” If you’re good enough at writing for a general audience, and write books that manage to get on Barnes and Noble shelves (like Dom Crossan or NT Wright) or get you on Comedy Central (like Bart Ehrman), you make good money—REAL GOOD MONEY. Needless to say, those people are very few. Most of us publish because of our love for the discipline, sense of calling to a church or secular role, egos, or all three. A Tribute to Emmanuel Students: From my perspective, life brings many things, some welcome, some not, some good, some not. Such is the ebb and flow of human existence, I believe. This first week at George Washinton University was absolutely marvelous, at a number of levels. At this juncture, though, I wish to pause for a moment and emphasize strongly, and with heartfelt emotion, that I am deeply grateful for the honor it was to teach so many wonderful graduate students at Emmanuel during the course of the past decade (and all of you were truly quite wonderful). I sincerely hope that our paths cross often in the future and please know that all of you will always be part of the tableau of my life for which I am thankful. I will not forget you. Not ever. Please be well, flourish, and please keep in touch. I love to research and write, but I am never more alive than when I am teaching. I will miss all of you. And....please also know that my dearest friend on the Emmanuel campus, Dr. Jason Bembry, has mentioned today to me that he's going to keep the "free coffee tradition" alive within the Old Testament area....I hope that you will visit him often....and drink a cup for me as well! 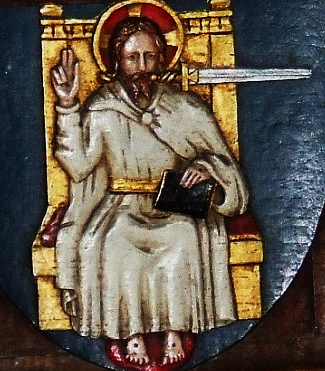 Le-Hayim. Chris Rollston. NetGalley is an online service for the electronic delivery of galleys and press materials. Using NetGalley, you will be able to register and use this service to view new titles from us at no cost. You can read galleys or new releases online, download PDF versions, read on your Kindle or Sony Reader, and search within galleys. You can also view marketing materials, author bios, cover art, and more. Visit http://www.netgalley.com to register, and request to view Baker Academic and Brazos Press galleys. Find our titles by searching for Baker Academic or Brazos Press in the public catalog area. To add to my previous posts on Social Memory, here and here, I've included this post to fill out the bibliography. Together with Joshua Smith, I am in the process of compiling a bibliography of applications to Social Memory theory to the Gospels. This is a preliminary attempt. We hope that by sharing this, we can work toward a comprehensive bibliography. Go ahead and add anything we've missed in the comments below. A few points of clarification are necessary. This is list lacks any reference to the major players in the field outside of Gospels scholarship. If you've never read anything on this topic, you should really start with Fentress and Wickham's book Social Memory or really anything by Jan Assmann. 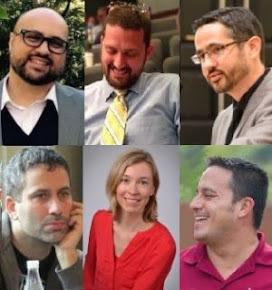 You'll also want to become conversant with Aleida Assmann, Pierre Nora, Barry Schwartz, Yael Zerubavel, etc. None of these names (save Schwartz) is represented in this bibliography. If you'd like to start at the beginning, you'll want to read Maurice Halbwachs, or his mentor Henri Bergson. There are also some really fine works that apply Social Memory to other NT books. So this list lacks references to Georgia Keightly, Jeffrey Brickle, etc. Feel free to add these below; I wouldn't mind expanding this list to NT studies in general. I find it odd that Mark betrays no knowledge of Joseph, but that Jesus' father plays important roles in Matthew and Luke. The Fourth Gospel, at least, mentions Joseph. Moreover, what happened to him? Why is Mary orbiting the various stories of Jesus' public career, but Joseph isn't? I've heard a few speculations, but I could use some help from the Church historians among us to find out what the historical conversation has been on this topic. If you are interested in the work of NT Wright and live within an hour or so of Baltimore, it's not too late to register for my course on his writings at the Ecumenical Institute of Theology, St. Mary's Seminary & University. Starts tonight, 6-9! I would add: studying with Michael Gorman is worth the price of admission; the topic on the table is just icing. Only N.T. Wright could get away with publishing "Volume 4" in 3 parts. That's some Lightfoot level shenanigans. How can you not be entertained by this business?! Did Christianity Get Jesus Wrong?